Sat., April 16, 2016, 5:28 p.m.
LAS VEGAS – UNLV moved swiftly to hire a basketball coach after Chris Beard’s sudden exit, agreeing with New Mexico State’s Marvin Menzies on a five-year contract Saturday. A former UNLV assistant, Menzies was one of the final candidates to replace Dave Rice, who was fired in January. Menzies’ contract must still be approved by UNLV’s board of regents. Beard agreed to a contract March 28 after one season at Arkansas-Little Rock and was approved by UNLV’s board of regents 11 days later. But he had a quick change of heart, bolting UNLV on Friday to coach Texas Tech, where he was an assistant for 10 years. UNLV President Len Jessup lauded Menzies as an experienced coach who knows how to win and has roots on both coasts. “He is a dynamic recruiter and proven leader who understands the proud tradition of UNLV basketball, and we look forward to welcoming him back to campus,” he said. 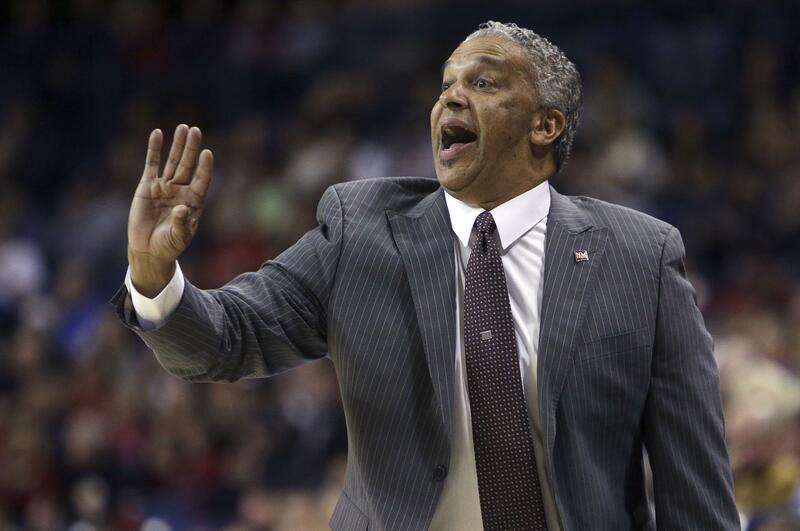 Menzies, 54, spent the past nine seasons at New Mexico State, leading the Aggies to four straight WAC tournament titles and NCAA tournament berths from 2012-15. New Mexico State also played in the NCAA tournament in 2010. New Mexico State won the WAC regular-season title after going 13-1 last season, but did not receive an at-large bid to the NCAA tournament after failing to win the conference tournament. The Aggies played in the National Invitational Tournament instead. Menzies went 198-111 at New Mexico State, including 103-37 in conference games. He spent the 2004-05 season with Lon Kruger at UNLV and also served as an assistant to Louisville’s Rick Pitino, USC’s Henry Bibby and San Diego State’s Steve Fisher. Published: April 16, 2016, 5:28 p.m.